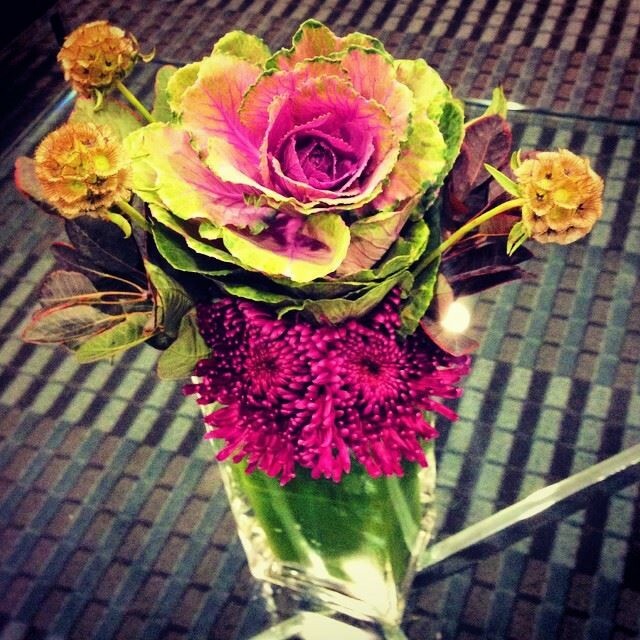 There is no denying the brightness and air of luxury that flowers can quickly bring to a space. 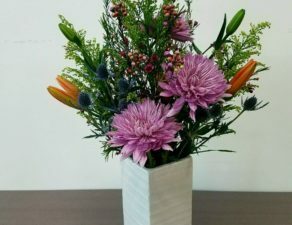 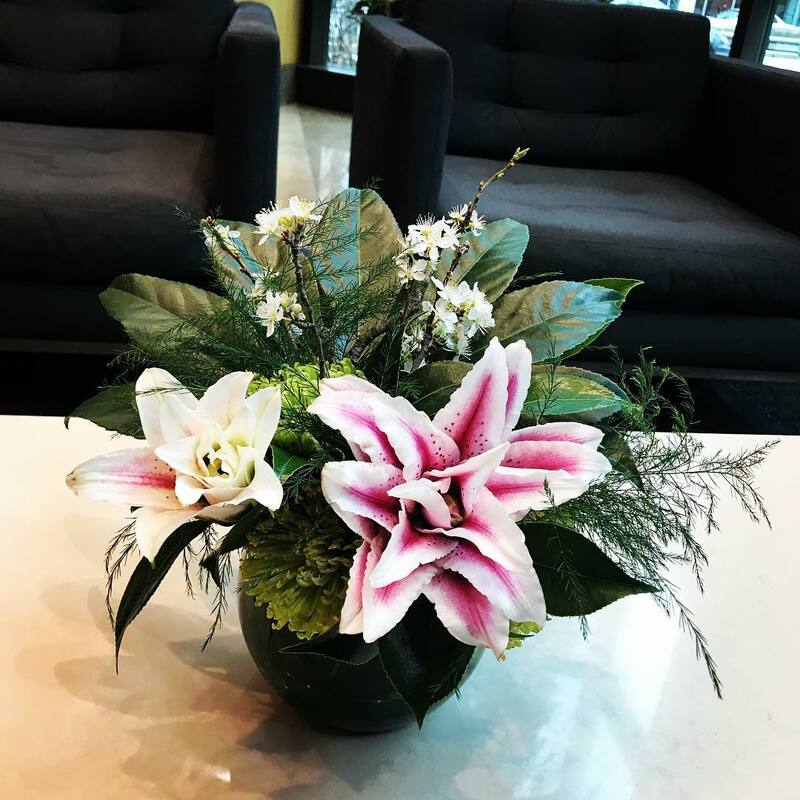 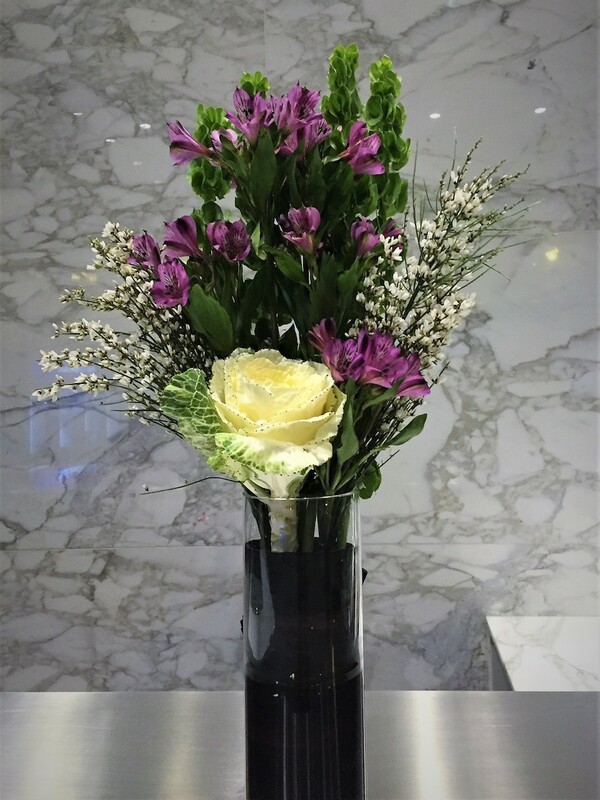 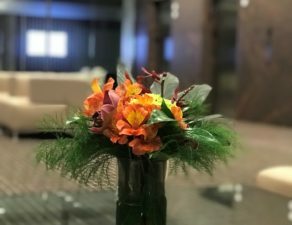 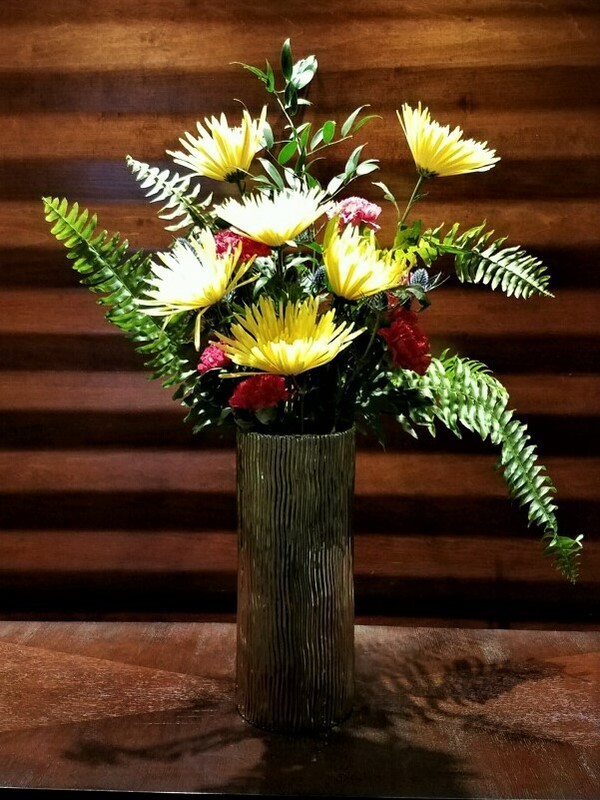 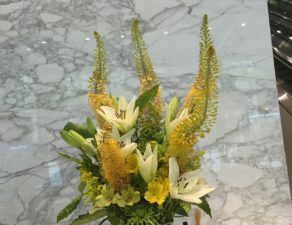 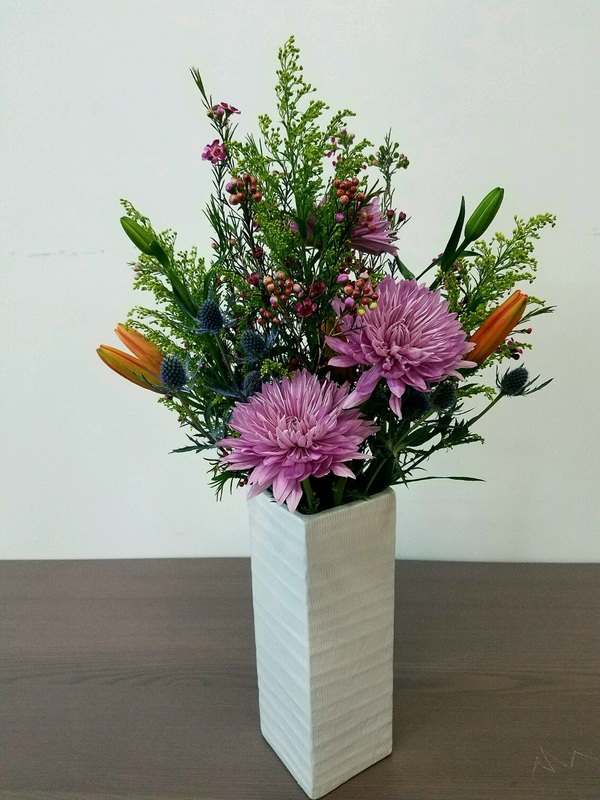 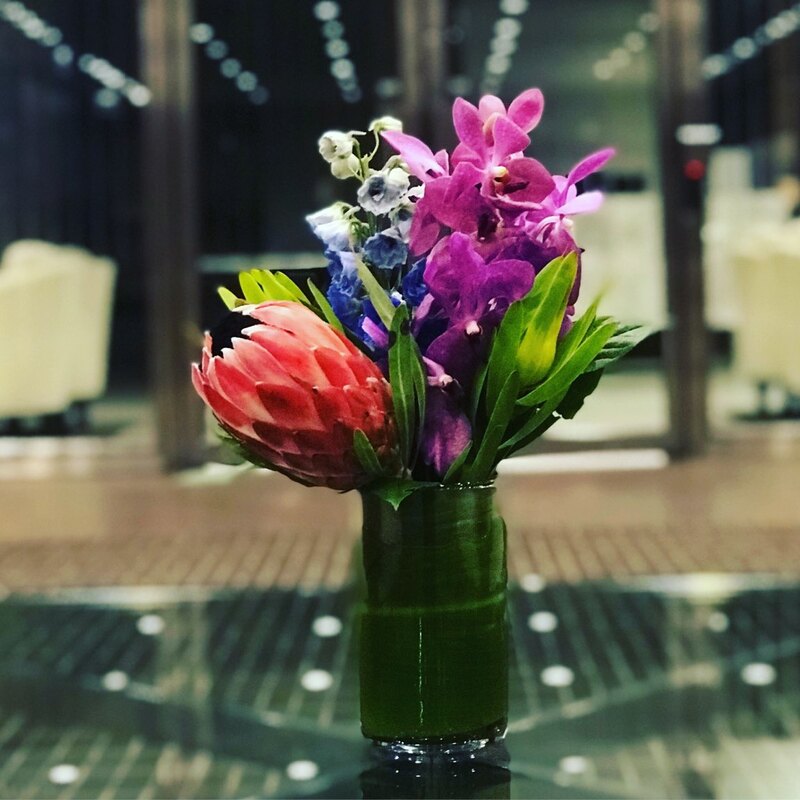 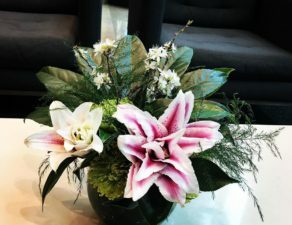 Whether through fresh cut flowers or an arrangement of living décor, Khloros helps our clients create an ambiance through our blooming displays. 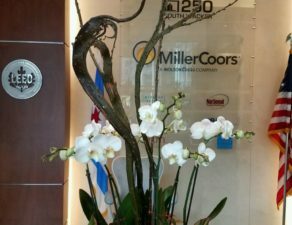 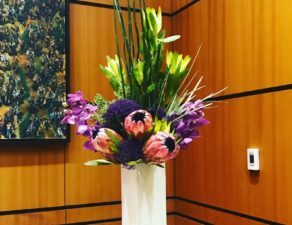 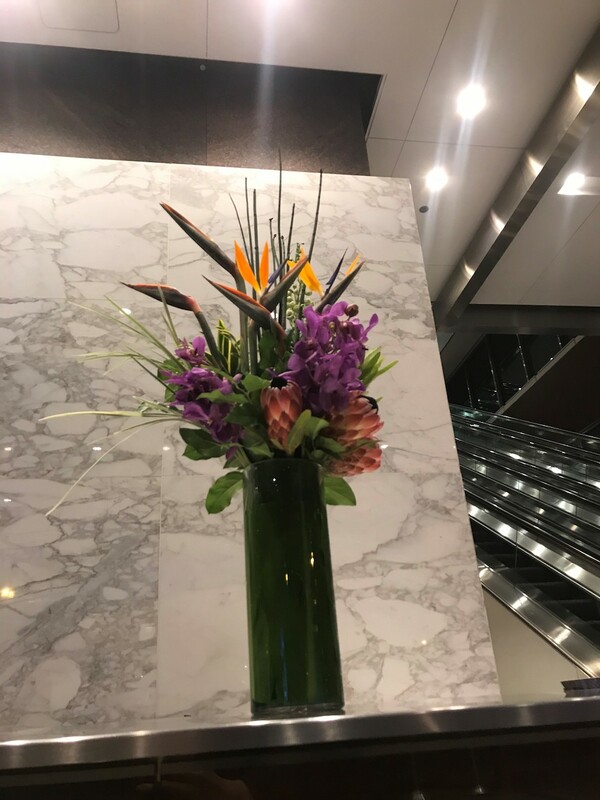 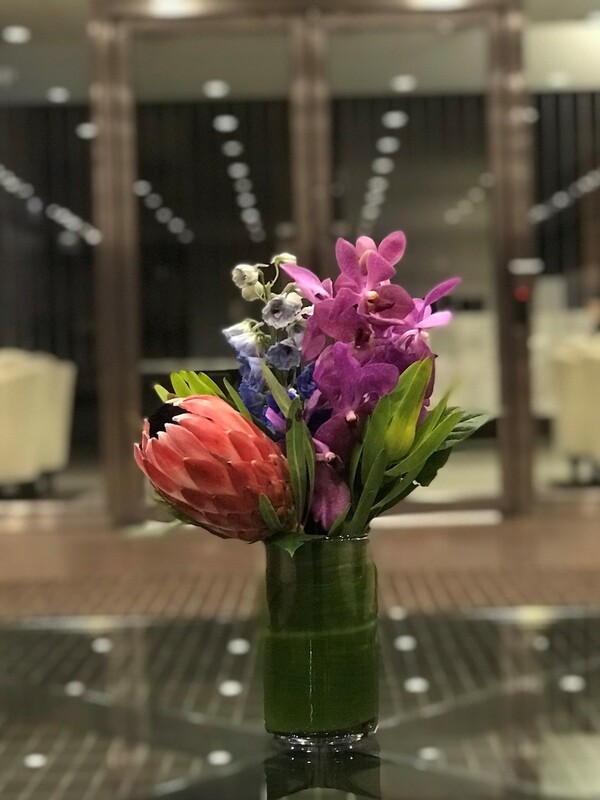 We can use blooming flowers to add to or complement your building’s color scheme, while also elevating the experience for your visitors. 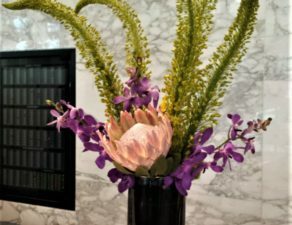 What could be more welcoming in a lobby than the elegance of orchids? 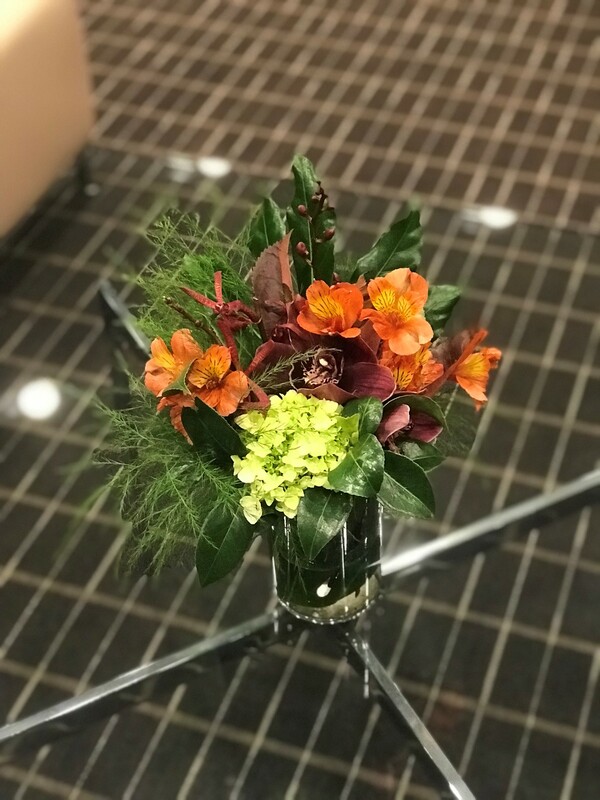 These arrangements are easily coordinated with any color palette and designed with other floral accessories to make the display come to life. 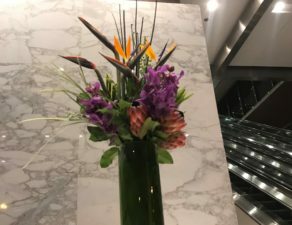 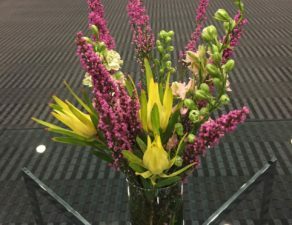 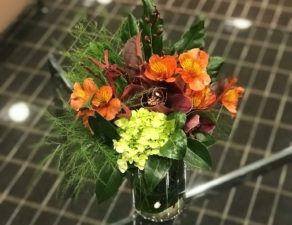 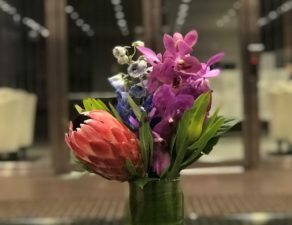 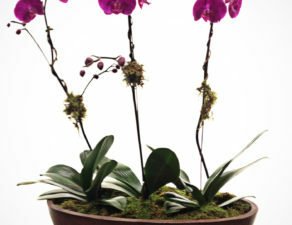 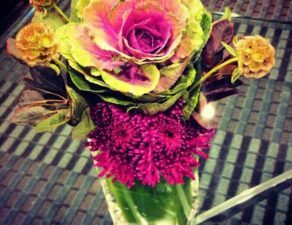 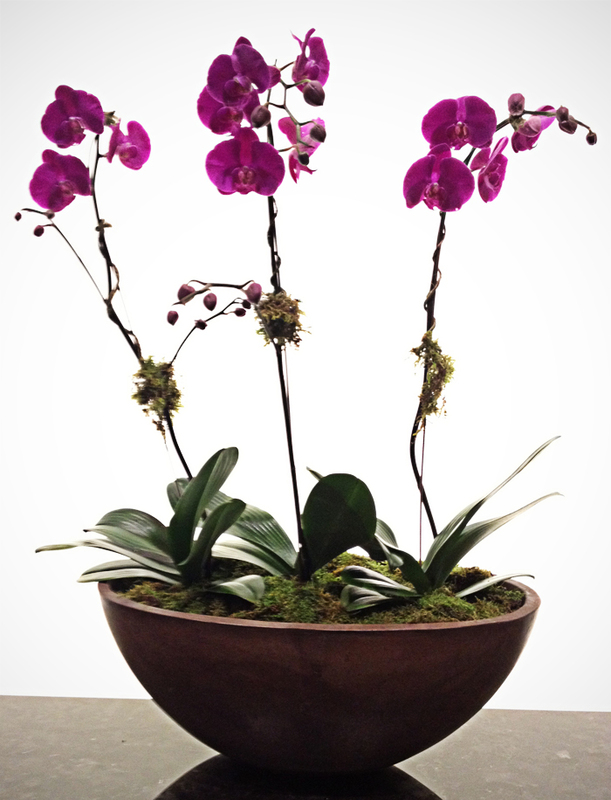 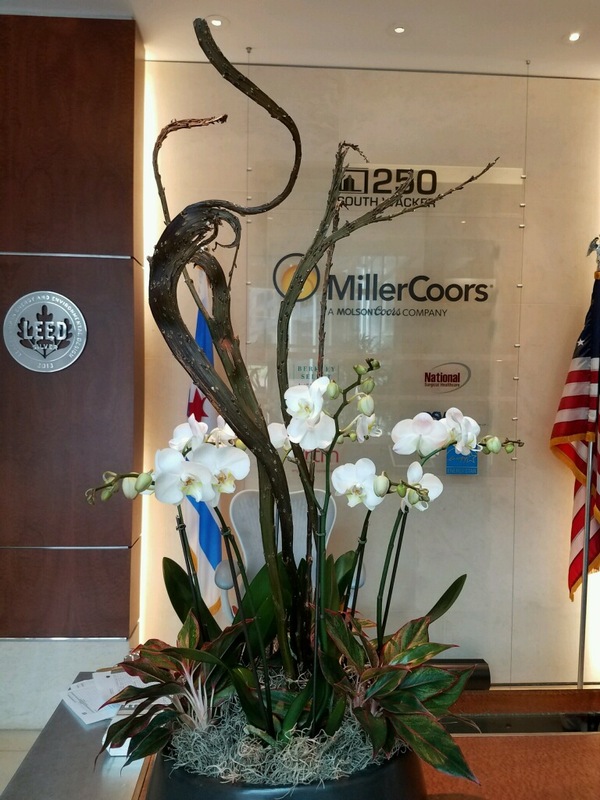 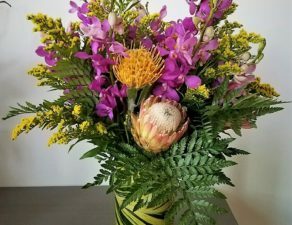 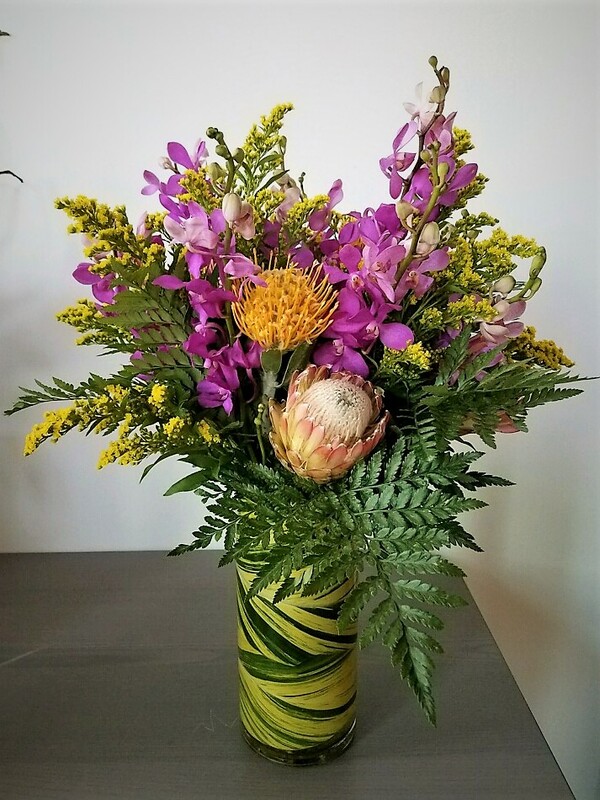 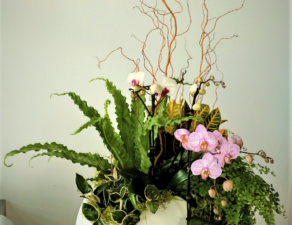 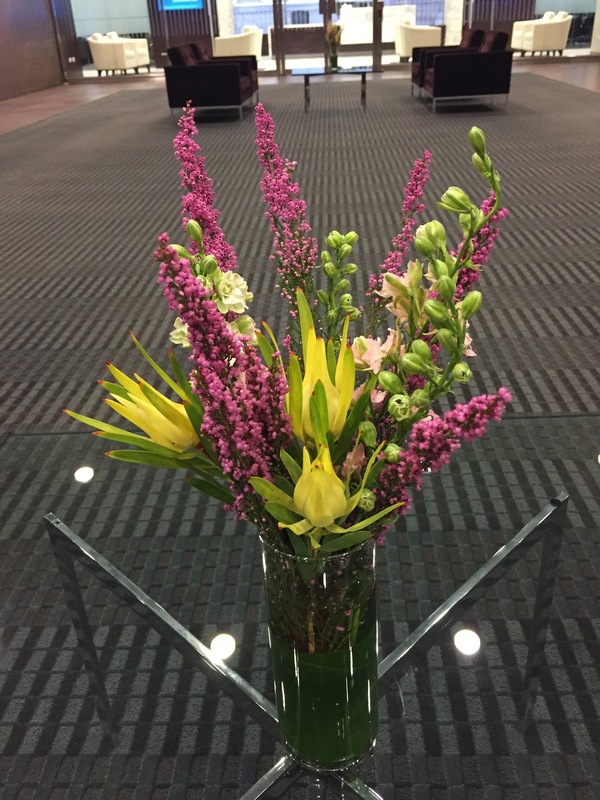 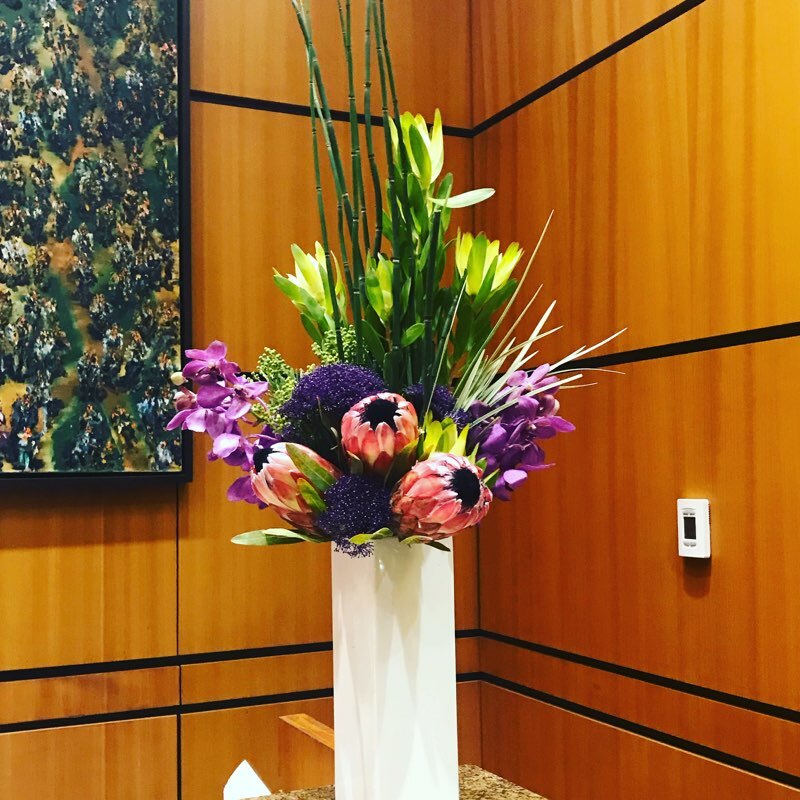 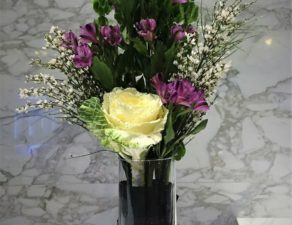 Khloros custom designs each orchid arrangement to our clients’ spaces in an effort to create a longer-lasting floral display that does not have to be replaced weekly. 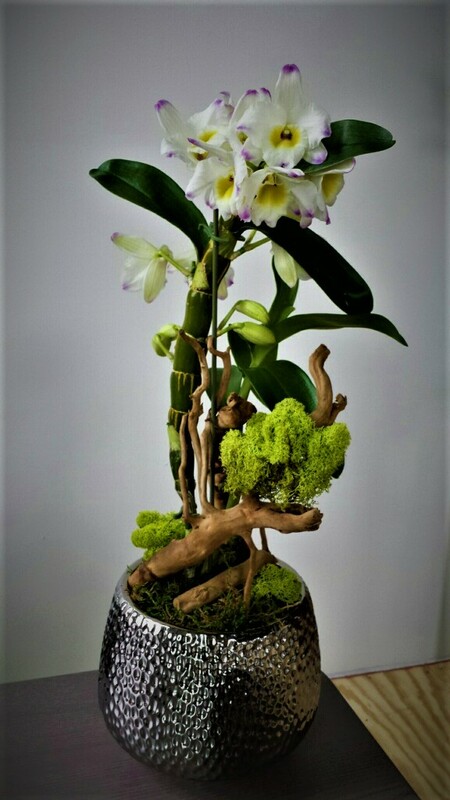 Our clients can expect an orchid arrangement to last between four to eight weeks, and we handle all of the maintenance involved in their care for you. 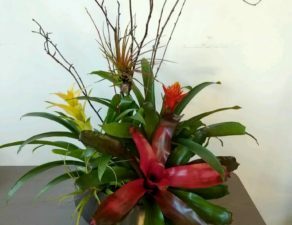 If a beautiful, but cost-efficient, blooming display that can brighten up any space is a better fit for your budget, bromeliads are just the ticket. 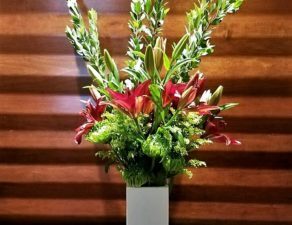 They are our most cost effective color solution, coming in countless varieties that can be guided by the seasons to make your space inviting. 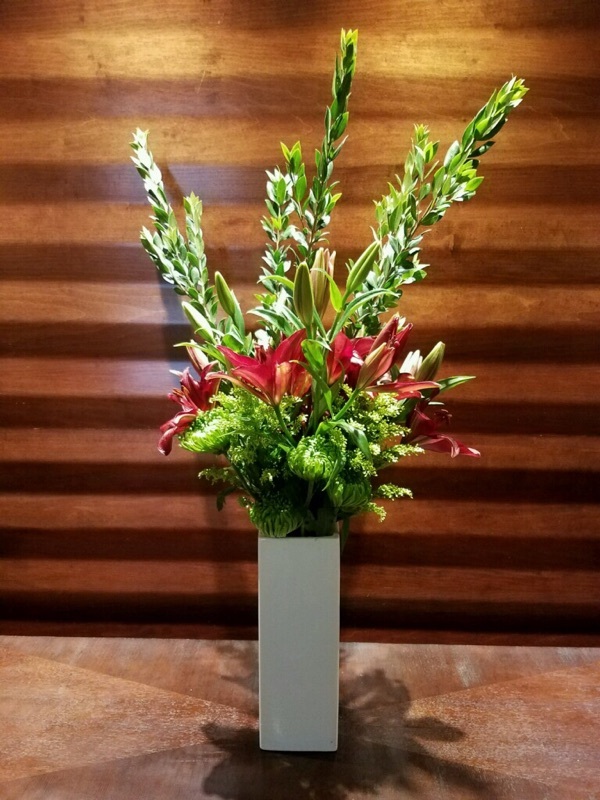 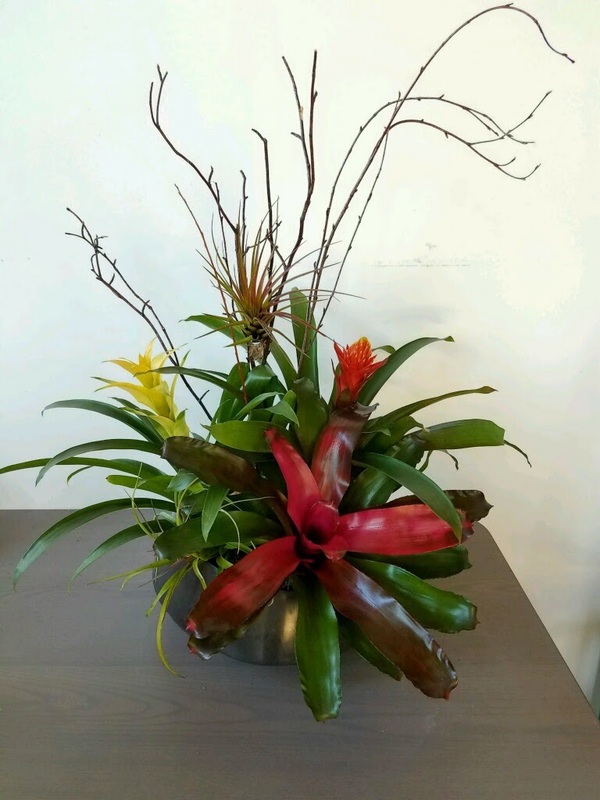 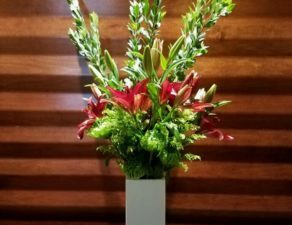 Bromeliad arrangements are a long-term rotation that lasts up to 12 weeks, which keeps replacement costs low while welcoming your guests into a colorful interiorscape that is unique and eye-catching. 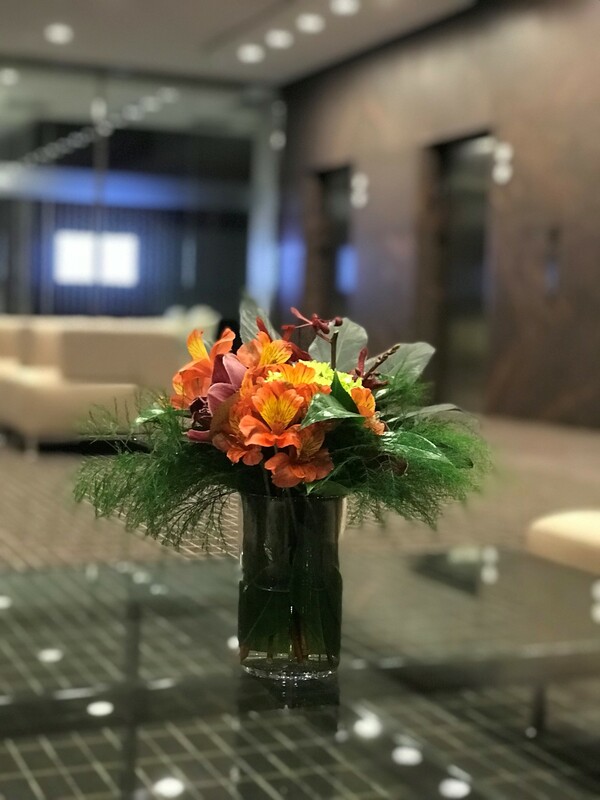 Living décor is our term for beautiful and often intricate living floral and plant arrangements that resemble art more than cut flowers. 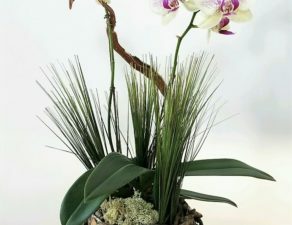 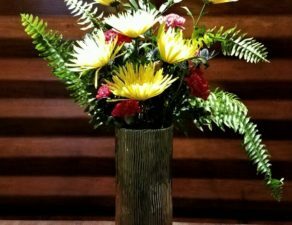 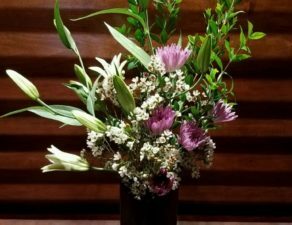 These long-lasting arrangements can be designed in a variety of ways to add interest to any space, while providing a low-maintenance natural element to a space. 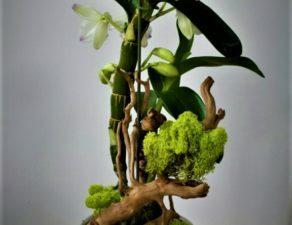 Khloros living décor designs can include a variety of plants including orchids, succulents, both preserved and replica, as well as moss arrangements and natural accessories, such as moss and roots. 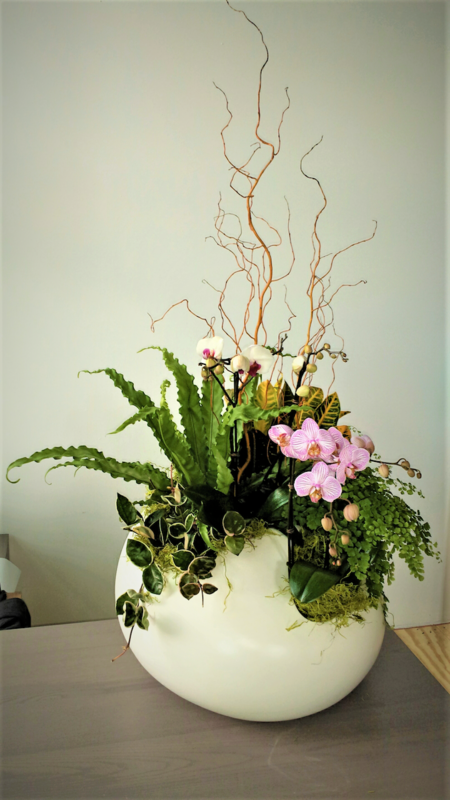 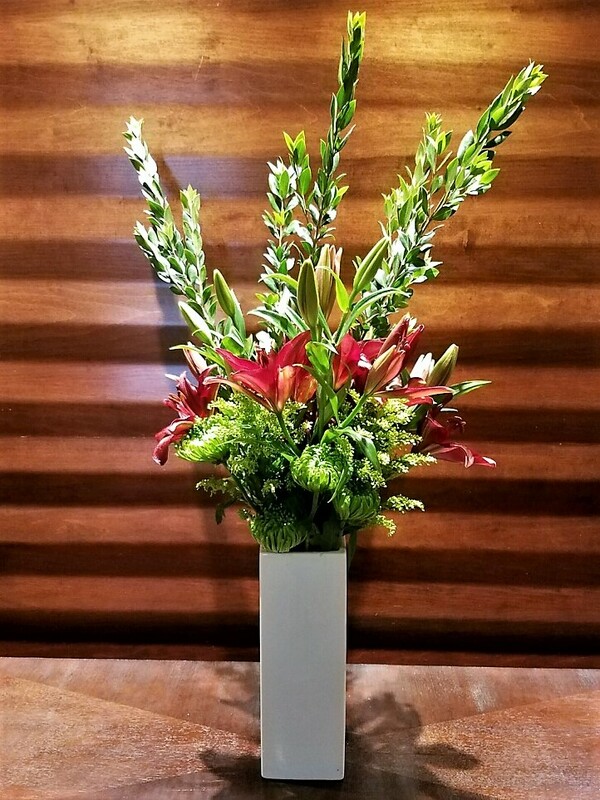 These arrangements bring nature into the office in a unique and beautiful way.